LIMA 2019 opened with a formal inauguration by the Prime Minister of Malaysia, YB Mahithir Bin Mohammad during a grand opening ceremony at the Mahsuri International Exhibition Centre (MIEC) on March 26. FOC-in-C ENC, Vice Admiral Karanbir Singh, attended the opening ceremony along with the CO INS Kadmatt, Commander Sachin Dhir. 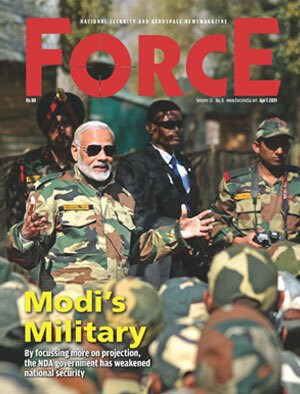 Subsequently, Kadmatt’s crew participated in the Man and Cheer Ship while the Chetak helicopter embarked onboard took part in the flypast as part of the final Dress Rehearsal of the International Fleet Review (IFR) which was held on March 27 and reviewed by PM Mohammad. Indian Navy’s frontline ASW corvette, INS Kadmatt arrived at Langkawi, Malaysia on March 25 to participate in LIMA 2019. 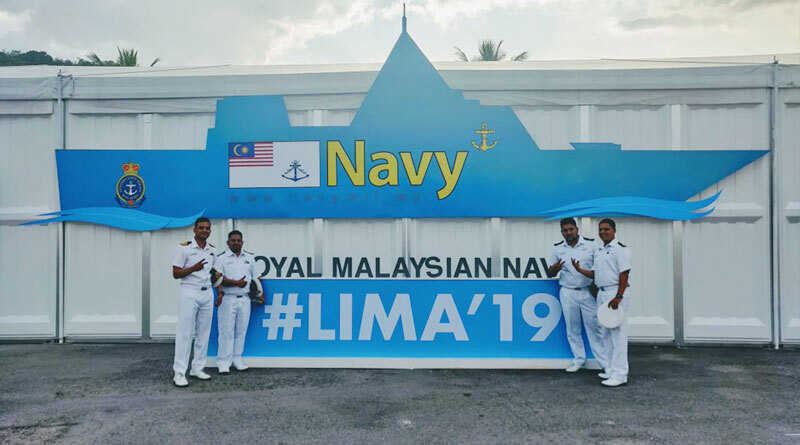 The ship participated in numerous activities planned as part of LIMA 19 during the seven days at Langkawi, maritime and air demonstrations, Sea Exercises with 29 other participating navies, cultural exchange programmes, cross visits to ships, sporting events. Numerous seminars and interactions were also held on the side lines of the main event. INS Kadmatt (P 29) is an indigenous stealth anti-submarine warfare corvette and was commissioned into the Indian Navy in January 2016. The ship is fitted with state of the art weapons, sensors and machinery and is also designed to embark the Seaking anti-submarine warfare (ASW) helicopter.